A versatile quilted comforter with Pom Pom Trim accent and inspired fabric prints that coordinate perfectly with Sparrow Mix n' match bedding. 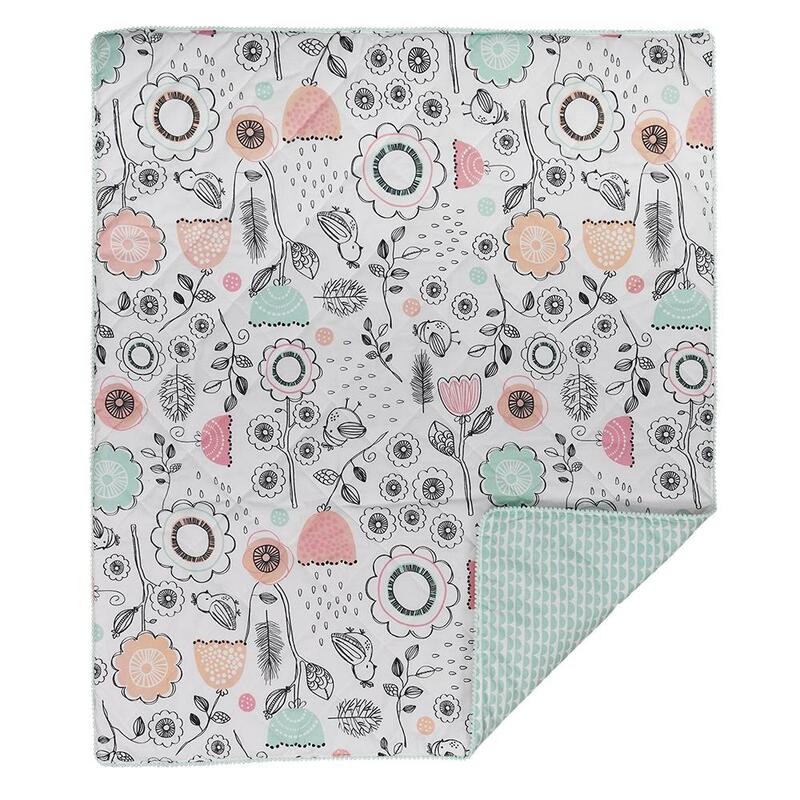 Simply flip between Sketchy Bird and Mint scallops prints to change the look of your bedding. Soft and lightly padded. 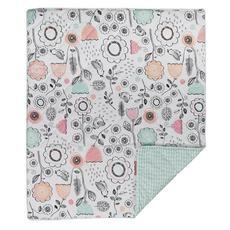 Also perfect as a play mat for tummy time or picnics.